Dr. Aschner serves as the Harold and Muriel Block Chair in Molecular Pharmacology at Albert Einstein College of Medicine. He served on numerous toxicology panels (Institute of Medicine, US Environmental Protection Agency, Center for Disease Control), and is a member of the Neurotoxicology and Alcohol study section (NIH). Research in our lab focuses on the following topics: (1) Modulation of C. elegans genes (aat, skn-1, daf-16) that are homologous to mammalian regulators of MeHg uptake and cellular resistance will modify dopaminergic neurodegeneration in response to MeHg exposure. (2) Under conditions of MeHg-induced oxidative stress, Nrf2 (a master regulator of antioxidant responses) coordinates the upregulation of cytoprotective genes that combat MeHg-induced oxidative injury, and that genetic and biochemical changes that negatively impact upon Nrf2 function increase MeHg’s neurotoxicity. 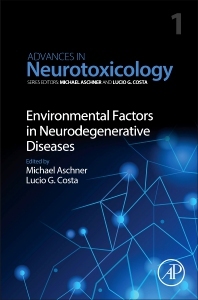 (3) PARK2, a strong PD genetic risk factor, alters neuronal vulnerability to modifiers of cellular Mn status, particularly at the level of mitochondrial dysfunction and oxidative stress. Our studies are designed to (1) shed novel mechanistic insight into metal-induced neurodegeneration; (2) identify targets for genetic or pharmacologic modulation of neurodegenerative disorders; (3) increase knowledge of the pathway involved in oxidative stress; (4) develop improved research models for human disease using knowledge of environmental sciences. Dr. Lucio G. Costa is Professor of Toxicology at the University of Washington in Seattle, and of Pharmacology/Toxicology at the University of Parma Medical School. He received a doctorate in Pharmacology from the University of Milano in 1977, and was a postdoctoral fellow at the University of Texas at Houston. He is a member of several national and international professional organizations, a Fellow of the Academy of Toxicological Sciences, and a European Certified Toxicologist. He received various award for his scientific accomplishments, including the Achievement Award from the Society of Toxicology. He serves in various editorial capacities for several toxicology journals, and is an active manuscript and grant reviewer. Dr. Costa has been the member of dozens of panels and committees at the national and international level dealing with toxicology and risk assessment issues. He has chaired and/or organized symposia at scientific meetings in the United States and internationally. He has been teaching classes in the area of toxicology, neurotoxicology and pharmacology to graduate and medical students for 30 years. He keeps an active research program in the area of neurotoxicology.